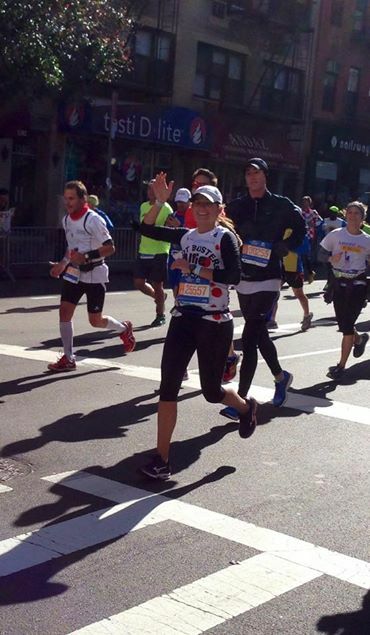 Team Stop The Clot takes on the NYC Marathon! Photos and web links are encouraged! followers and engagement. 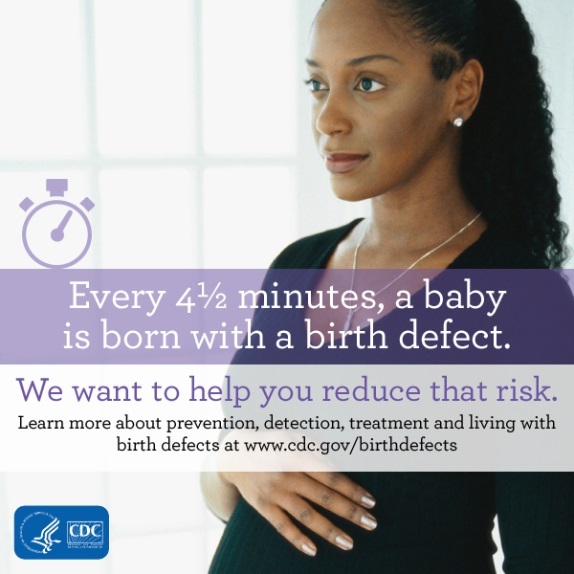 The more followers NCBDDD has, the more potential exposure to the topic areas. Happy Thanksgiving, Friends! At this time of year, I can’t help but reflect on what we’ve accomplished together this year. And, it leaves me humbled and grateful. Earlier this year, we hosted our Friends Executive Committee here in Atlanta. It was a very productive meeting and both staff and partners left the meeting feeling energized and enthusiastic about the path that lay ahead for this year. The charge: anchor our work with partners around some overarching messaging. We needed something to unite us. Little did we know that, with your support, the stars would align to bring these messages to life. The ultimate outcome of the time we invested in this meeting – the launch of the Friends Champion Strategy. As a Center Director, I am challenged daily with making the case for the Center. These new messages, this new strategy, and our new champions are making us more effective at doing this, together. Thank you, Friends, for stepping up and being a part of a brand new way of carrying our messages forward. If you missed the recent Friends end of year meeting, you really missed something special. Thanks to the work of our Executive Committee, Communication Committee, Champions and the Advocacy Coalition, we had a tremendous gathering of partners representing each of the four thematic areas. The Champs provided excellent facilitated dialogues around each of the areas, staff from the Center and Division participated as well as family representatives courtesy of Family Voices. The goals for the meeting were to develop and implement a coordinated communication plan (2015) to increase the visibility of the Center’s work; to engage the Friends group in a more concerted way in support of this plan; and, to create stronger connections among Friends and with NCBDDD staff and Friends. I believe with the leadership of our Chair, Adriane Griffen, we achieved these goals fully – and look forward to seeing the action plans that come together over the coming weeks. We are grateful for your service – whether with the Executive Committee, the Advocacy Coalition, as Champions or as members of the Friends. And, we’re looking forward to an impactful 2015! Many thanks to all who ran and voted in the election! Terms will start in January. On behalf of NCBDDD’s Division of Blood Disorders’ partnership with the Hemophilia Federation of America, CDC is pleased to announce the release of two new videos (in a series of 3) that were developed to encourage community members to consider martial arts as a form of physical activity. Please take a look and distribute to those you think may benefit from this activity. Check back on November 21st for the third video in this series! Enjoy! NCBDDD’s Division of Human Development and Disability (DHDD) announces publication of the first evidence-based guidelines for limb-girdle and distal muscular dystrophy. The new guidelines, developed by the American Academy of Neurology and the American Association of Neuromuscular & Electrodiagnostic Medicine, make recommendations for treating and managing complications such as muscle symptoms, heart problems, and breathing problems. The National Blood Clot Alliance announced that it has been awarded funding from the Centers for Disease Control and Prevention (CDC) to implement an education and awareness program aimed at improving public recognition about deadly blood clots that affect up to 900,000 Americans each year. The National Blood Clot Alliance announces new accreditation of the widely used web-based online curriculum titled Stop the Clot™ – What Every Healthcare Professional Should Know. This online curriculum provides no-cost contact hours for healthcare professionals. 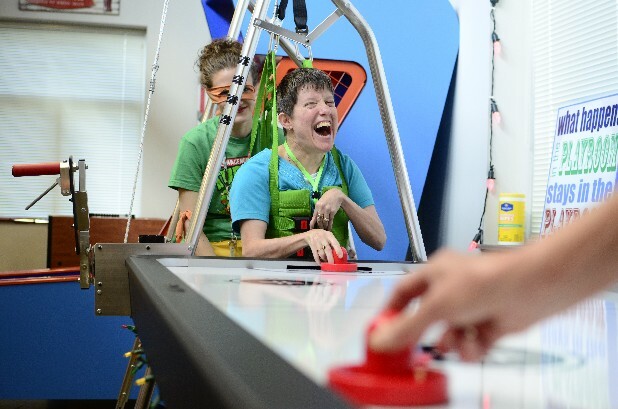 Innovative assistance for the developmentally disabled and how to get a high score on pinball are two of the things that Dr. Rick Rader knows well. “Everything you need to know in life you can learn in an arcade,” Rader said. Arcade games teach and develop motor skills, self-esteem, cooperation and persistence, just to name a few. The American Association on Health and Disability (AAHD) is pleased to announce the National Disability Navigator Resource Collaborative (NDNRC) has received funding for a second year. The NDNRC is an initiative aimed at providing cross-disability information and support to Navigators and other enrollment specialists thereby ensuring people with disabilities receive accurate information when selecting, enrolling and/or reenrolling in insurance through the Affordable Care Act Marketplaces. The NDNRC website can be found at: http://www.nationaldisabilitynavigator.org/.